Grup Servicii Petroliere (GSP) is engaged in offshore drilling.GSP is a member of Upetrom Group with their headquarter in Constanta Harbour, Romania. They also provide engineering and technical consultancy. In addition to offshore Drilling Rigs, GSP has specialized vessels like AHTS (Anchor Handling Tug Supply) vessels, DSVs (Dive Support Vessel), PSVs (Platform Supply Vessel), Crew Vessels, Crane Barges and Barges. As a new addition, GSP Prince, a new ROV Survey/Diving and Intervention Support Vessel is getting ready to reach Constanta in mid October to join the GSP fleet. 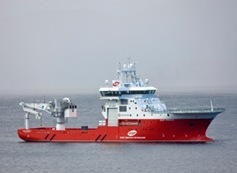 DP 2 specialized vessel, built at Baatbygg Shipyard, Norway. 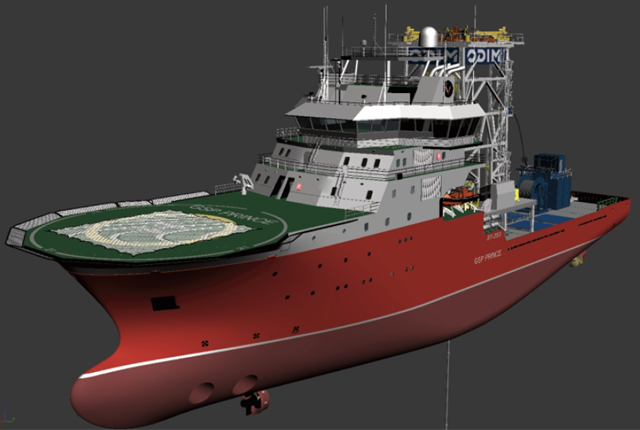 Designated as ST-253, purpose built as ROV Survey Vessel and is designed by Skipsteknisk AS. Capable of operating under severe weather conditions, with high maneuverability and station keeping. Here are some photographs of GSP Prince.